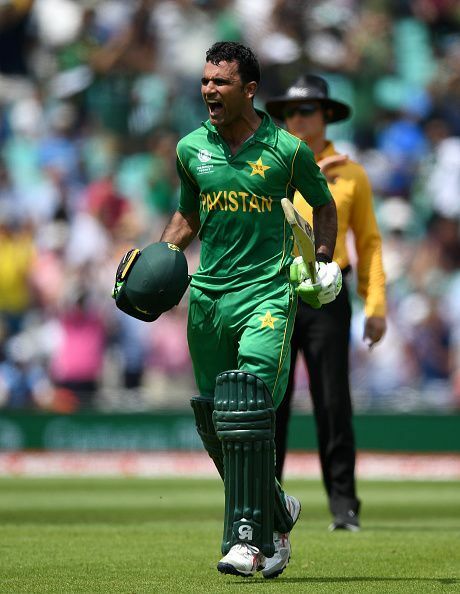 Fakhar Zaman is a Pakistani cricketer who was born on April 10, 1990 in Mardan, North-West Frontier Province. He is an opening batsman; he pays as a left-handed batsman and a slow left-arm orthodox bowler. He served in the navy before dedicating his life to professional cricket. Educated at Pakistan Navy School, Bahadur, Zaman showed great interest and played passionately in the school team but his father’s opposition found him a future in the navy instead. He quit the navy cricket team to play in domestic teams following the coach’s advice. He played for Pakistan national cricket team, Abbottabad, Abbottabad Falcons, Habib Bank Limited, Karachi Blues, Karachi Dolphins, Karachi Zebras, Karachi Zebras, Khyber Pakhtunkhwa, Lahore Qalandars, Pakistan A, Pakistan Navy and Peshawar cricket team. He became the second-highest run scorer in the 2016 Pakistan Cup. Zaman made his ODI debut against South Africa at Edgbaston on June 07, 2017 and he made his T20I debut against Windies at Queen's Park Oval on March 30, 2017. In his debut ODI, he scored 31 runs. In Champions Trophy finals, he played exceptionally well, leading the Pakistani team to victory. He was a part of the first Pakistani Champions Trophy victory team. He, in fact, shared a partnership 128 along with Azhar Ali in the final of the tournament against India. Zaman went on to score a century that enabled Pakistan to win the trophy with a thrashing of their arch-rivals in the final. Zaman made a tough decision to leave the navy and actively participate in domestic leagues. He played for Karachi, Peshawar, Lahore Qalandars, Baluchistan, Durban Qalandars. He still plays for Lahore Qalandars and Baluchistan. Zaman and Azhar Ali's partnership in the match was 128 runs, the highest opening partnership in the Champions Trophy history for Pakistan and also the highest opening partnership in an ODI for Pakistan since 2009. He was awarded an ODI Man of the Match against India at The Oval, London on 18th June, 2017.